HSC Bangla 2nd Paper 12th Chapter Suggestion of Nirmiti. Bangla is an eastern Indo-Aryan language. It is native to the region of eastern South Asia known as Bengal, which comprises present day Bangladesh, the Indian state of West Bengal, and parts of the Indian states of Tripura and Assam. It is written using the Bangla script. With about 220 million native and about 250 million total speakers, Bangla is one of the most spoken languages, ranked seventh in the world. The national song of India, the national anthem of India, and the national anthem of Bangladesh were composed in the Bangla language. teachingbd24.com is such a website where you will get all kinds of necessary information regarding educational notes, suggestions and question patterns of schools, colleges, and madrasas. Particularly, you will get here special notes of physics that will be immensely useful to both students and teachers. The builder of the website is Mr. Md. 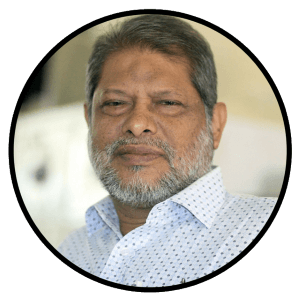 Shah Jamal who has been serving for 32 years as an Assistant Professor of Physics at BAF Shaheen College Dhaka. He expects that this website will meet up all the needs of Bangla version learners /students. He has requested concerned students and teachers to spread this website home and abroad.